Things are moving slowly as we only have a few goldfish at this stage. Soon after adding the goldfish we went through the ‘pea soup’ phase as the tank was ‘bedding in’ making it impossible to see more than a few inches into the water. The plants in the grow bed turned yellow in some cases (lettuce) and purple in others (tomato & rocket), suffering from a lack of nutrients. The learning curve suddenly turned into a vertical climb as we learned about pH, nitrogen deficiency, iron deficiency, potassium deficiency etc. 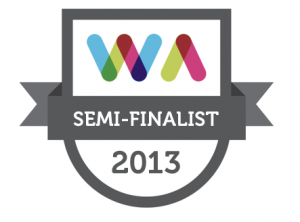 Our first mistake – we didn’t test the water before filling the tanks. Our water comes from a local well, part of a small group water scheme supplying about a dozen houses and only chlorine is added; everything looked good! Fill the tanks and leave them for a few days to allow the chlorine to evaporate off then add fish. Have you ever wondered what the pH of your drinking water is? Neither had we! Water percolates through limestone on it’s way to our well, increasing the pH of the water and causing several problems for an aquaponics system – most plants and fish do not like high pH, certainly not above 8 like ours is. 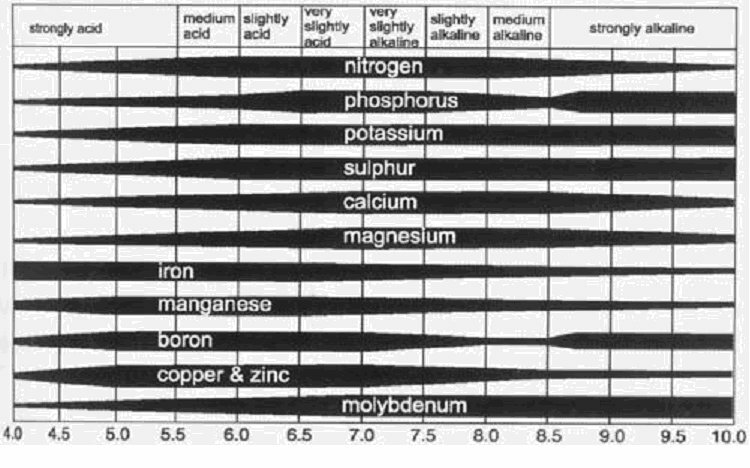 The fish, I guess, don’t enjoy swimming in a mild alkaline solution, for the plants high pH effects the availability of nutrients (see figure below) in particular iron, manganese, copper and zinc. Without these the plants can’t grow and with the fish food and poo that was ending up in the water the algae were having a party, hence ‘pea soup’. The solution? – Add iron and more nutrients for the plants – we don’t have enough fish yet to provide all the nitrogen that the plants require (a common comment on the backyard aquaponics forum in relation to plants that are suffering is ‘add more fish’). Iron sulphate available from your local garden centre will not cut the mustard; unfortunately it deposits out of solution at high pH’s – what we needed was chelated iron. A quick phone and internet search revealed that no-one in Galway stocks it, but we did eventually get in contact with a distributor of seaweed liquid extract (http://sea-nymph-ireland.com/) whose supplier was able to mix us up a special brew and they kindly donated a couple of litres to our trial. The pea soup has gone the plants have perked up but we still need to add more fish. As for the pH problem we are collecting rain water and slowly diluting the tanks with it to reduce the pH. The second edition of the Backyard Aquaponics Magazine is available over at Joels site now. Next time: a step by step guide to building your own backyard aquaponics system. This entry was posted on Sunday, June 29th, 2008 at 3:21 pm. It is filed under About the Aquaponics and tagged with About the Aquaponics, crops, fish. You can follow any responses to this entry through the RSS 2.0 feed. Just a couple comments. The fish will stand higher pH much more than the plants. In fact the plants do better with a slightly acidic pH (around 6.8) which will also help your soluible iron uptake. In the states we have a product named Ironite which is used to green up lawns and such. You can also use maxicrop with iron which is a seaweed product as well. Just a couple suggestions. Another thing about the fish thing. This whole system is based on metabolism. Having a good match of fish to your current temps is crucial. Fish that are stressing will not be metabolising as efficientlyas those stressed. In other words if you are using tilapia, for instance in cooler waters expect to see some deficiencies. If you use koi in the same conditions you should see better results. How can youtell if they are stressing? Simple. If they are feeding strongly things are going well. If they are off their feed you will not be getting good results. Thanks Travis. We’ll be introducing some trout to one of the tanks shortly, which we anticipate will improve the growth rates for our plants and at this stage the algae has dramatically reduced – so we’re slowly getting there…. Watch the bio-load from the fish carefully, ammonium from the fish poo will cause algae to grow again. Like mad.